Maximise your lashes with the Dramatic Definition Mascara from Revlon. Featuring the brand's innovative Lash Separator Brush™ with tiered bristles, the smooth, flexible formula defines and separates every lash for a clump-free finish. 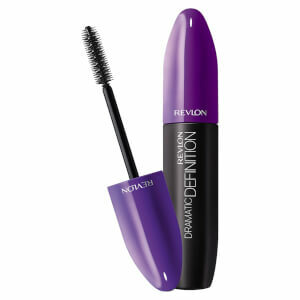 Lashes appear bolder and thicker with ultimate volume. Place lash brush at base of the lashes and pull through the length of the lashes. Build coats until the desired effect is achieved.